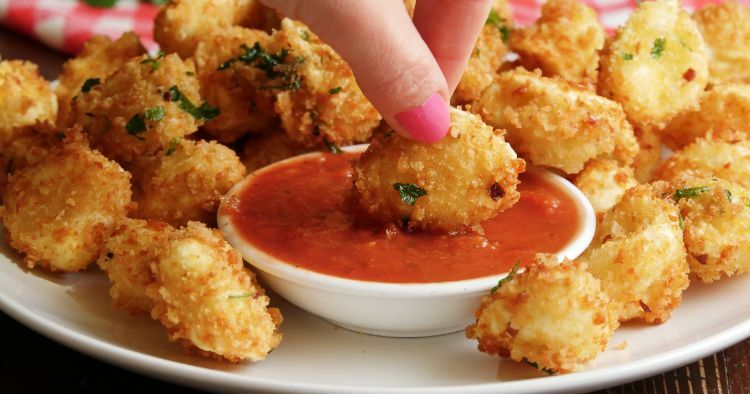 Want a snack that goes beyond the usual fried cheese sticks? Parboil some cheese-filled tortellini, dust them in Parmesan cheese, then bread and deep-fry them for an appetizer that's perfect for the big game or any other celebration with friends and family. The recipe below may seem out of the ordinary, but after just one bite, you'll want to make it time and time again. Pair it with ice-cold soda or beer and some warm marinara sauce for a treat that will please meat-eaters and vegetarians alike. Tip: If you don't have a cooking thermometer, place one tortellini in the pot. If it starts to fry immediately, the oil is ready. The oil's temperature will drop if you fry too many at once, though, so cook them in batches. In a medium bowl, combine the panko breadcrumbs, Parmesan cheese, parsley and red pepper flakes. Set aside. 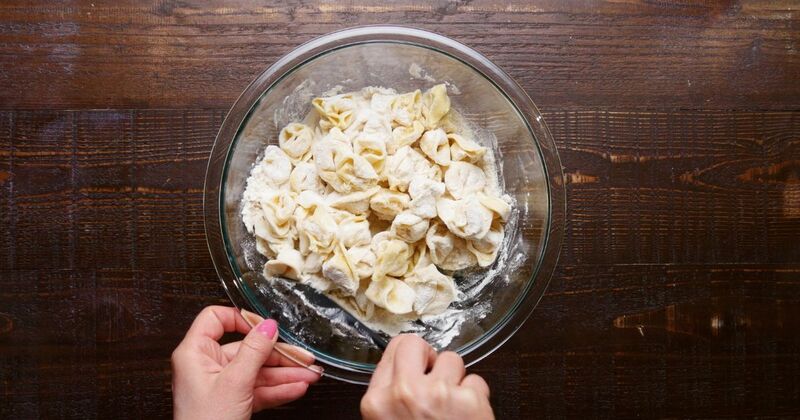 Bring a large pot of salted water to a rolling boil, and add tortellini pasta. Cook according to the package instructions, less 12 minutes before pasta is al dente. Remove the pasta from the pot before fully cooked. Drain, and set aside to cool. When pasta has cooled, sprinkle flour generously on top and coat thoroughly. Make sure no pasta is stuck together. Fill another bowl with the beaten eggs. Dip each flour-coated tortellini into the egg, and into the panko breadcrumb mixture, making sure it is fully coated on all sides. In a large heavy-bottom pot or Dutch oven, heat the canola oil until it reaches 375F. Make sure there is enough oil to submerge all the tortellini. Carefully place the individual tortellini into the pot and deep-fry. until golden brown on both sides, about 5 minutes per side. Watch carefully to avoid burning. Remove the tortellini from the oil, and place on a paper towel to drain excess grease. After 1 minute, place on a serving dish with a bowl of warmed marinara sauce. Garnish with more parsley and serve immediately.